Looking for information on Hebei Shengju Import Export Trading Co Ltd who is based in China that sells DL Methionine? If you’re looking for information on this company, then read the below experience of one buyer who ended up having problems with this company so you make sure you avoid having the same problems also. First, to minimize cooperation with any trading companies. Second, cut the purchasing from China on the maximum, to spread the volumes to different Asian suppliers or EU. Earlier there were too many supplier just with a bad quality, now scams and thieves. Need More Info on Hebei Shengju Import Export Trading Co Ltd? 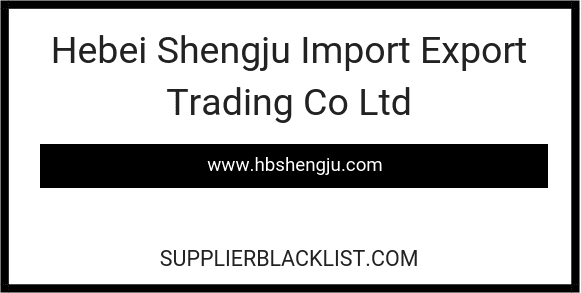 If you need more information, you can click the below links to search for more submissions about Hebei Shengju Import Export Trading Co Ltd on Supplier Blacklist as well as go to the search results page on Google for more reviews online about this company. Legal representative： 张志伟, Zhang Zhiwei, he has three companies. Take care and be careful, if you will start cooperation with Hebei’s company with that legal represantative.